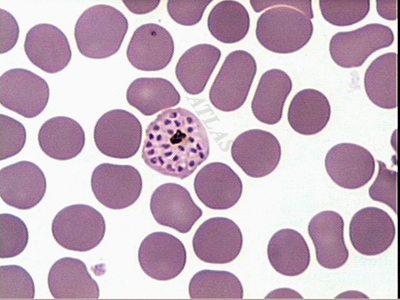 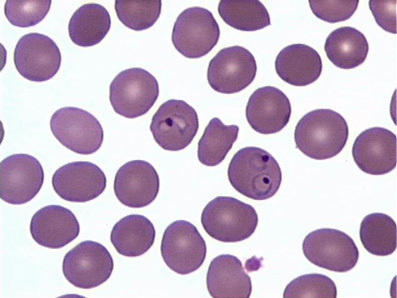 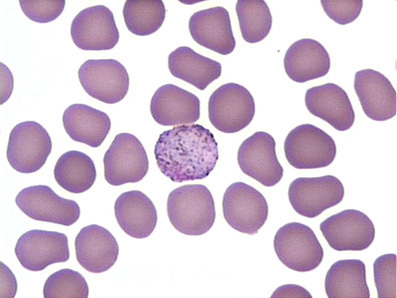 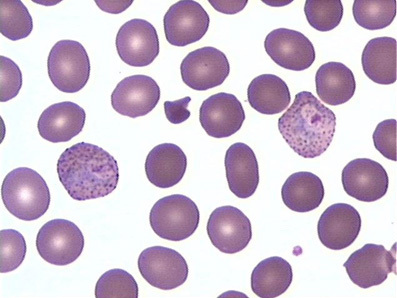 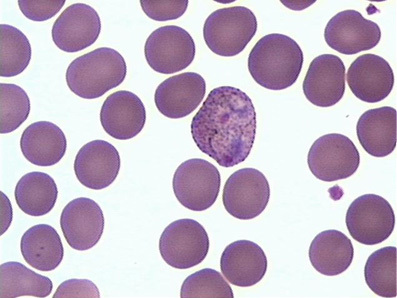 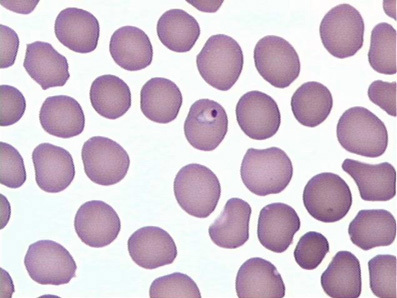 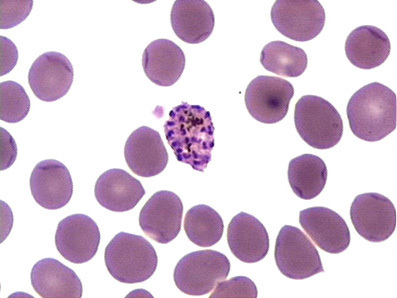 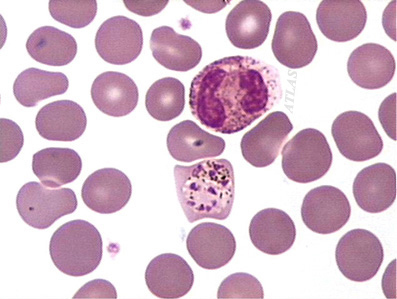 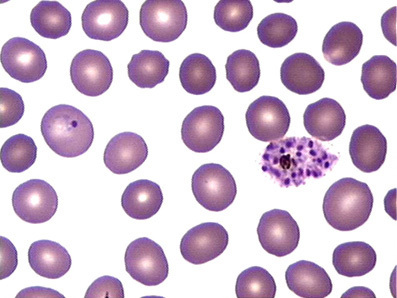 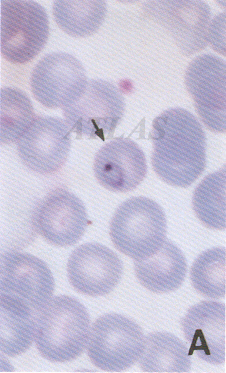 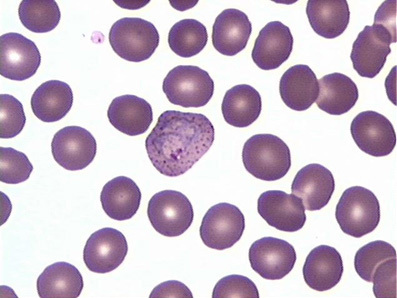 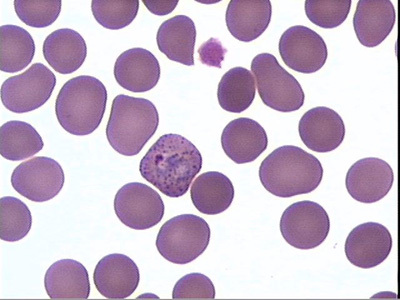 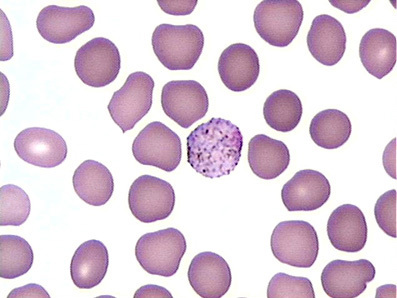 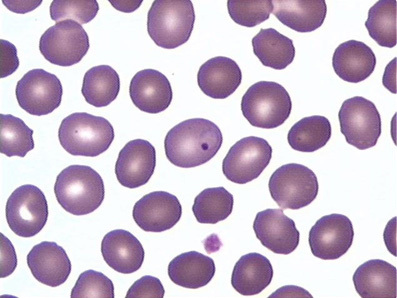 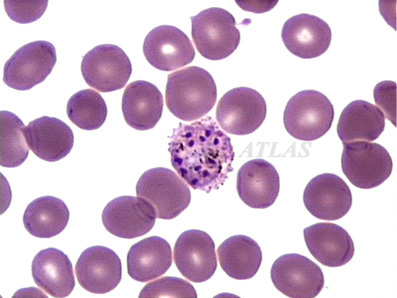 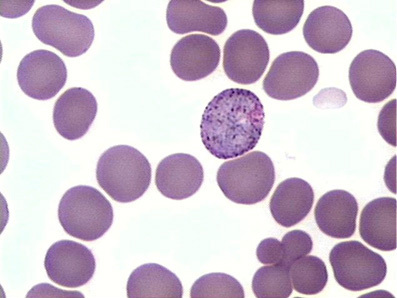 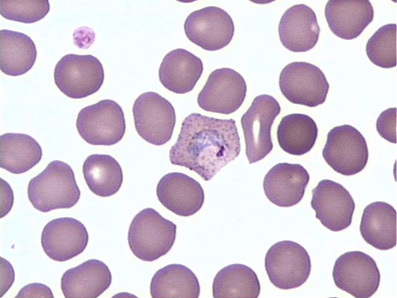 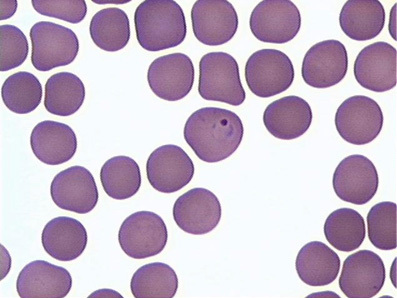 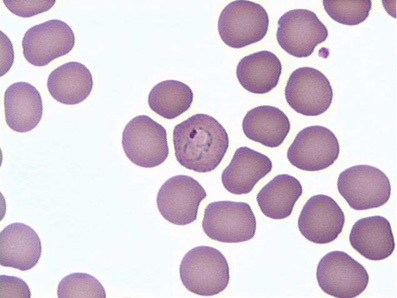 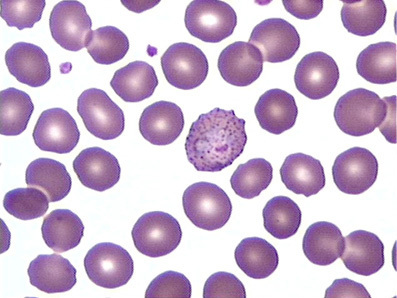 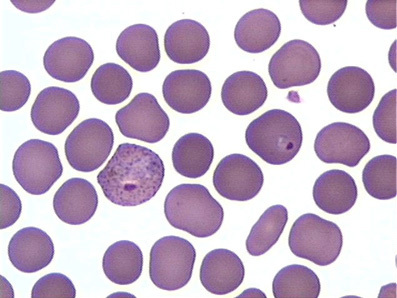 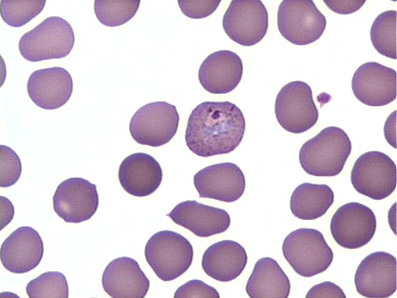 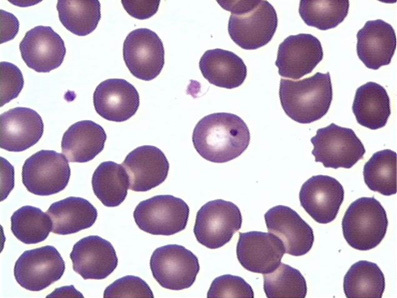 Amoeboid form of Plasmodium vivax. 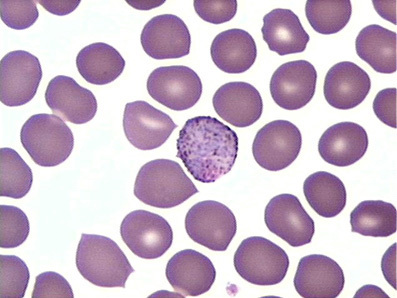 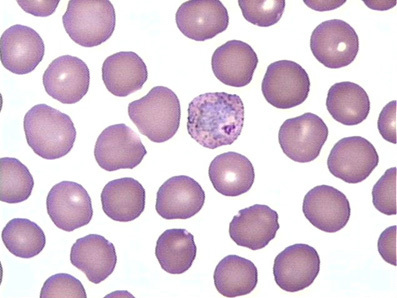 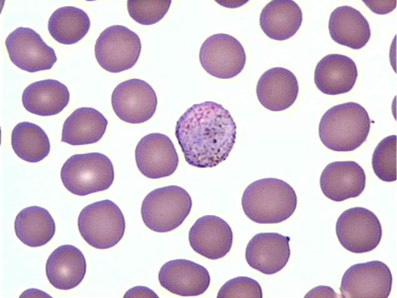 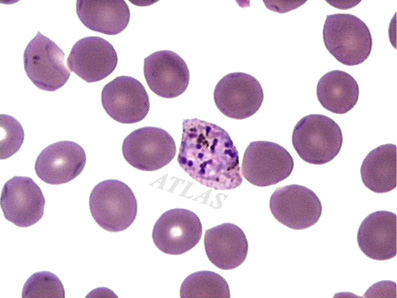 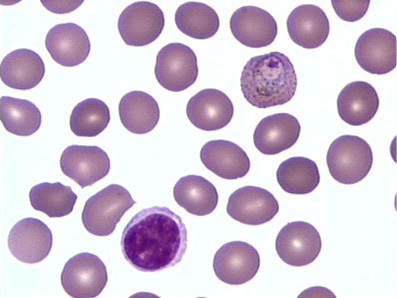 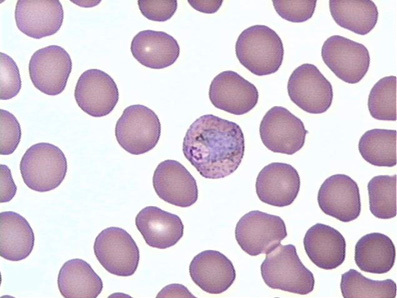 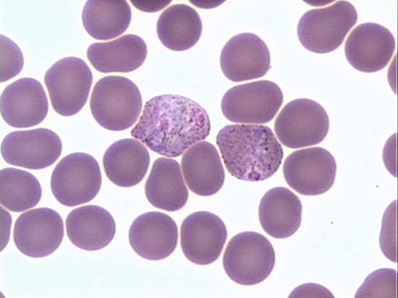 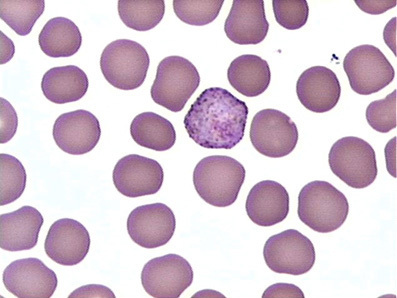 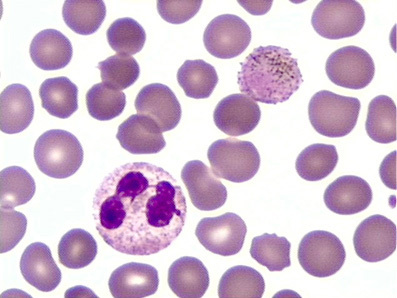 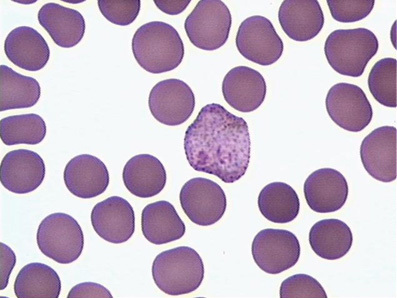 Enlarged red cells and Schuffner`s dots are seen (Giemsa stain, 1000x). 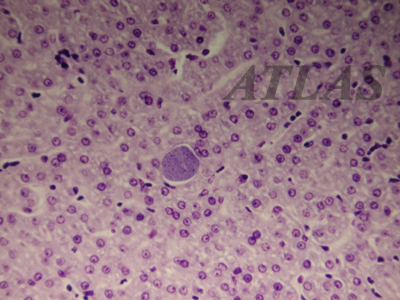 Exoerythrocytic schizont or hypnozoites of Plasmodium species in liver parenchymal cells.